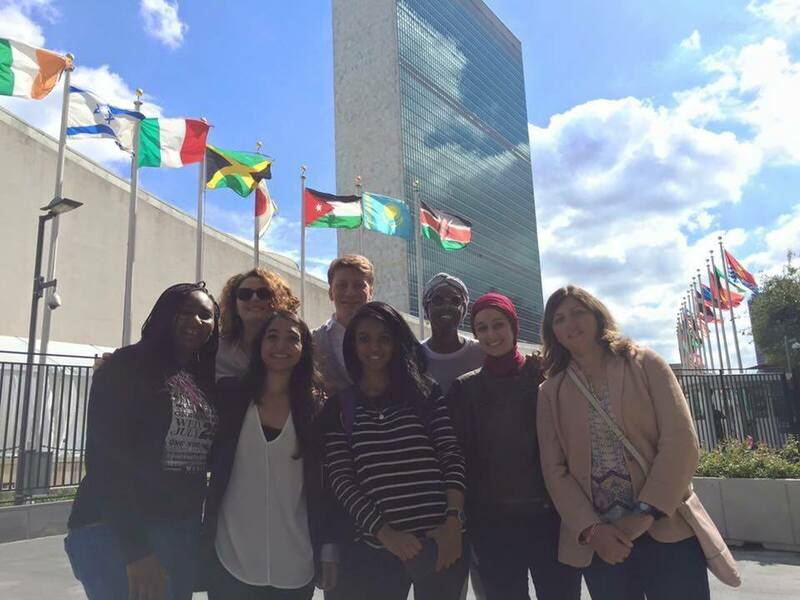 11 September 2015 – New York, USA: Generations For Peace CEO Mark Clark, along with several staff and volunteers, represented the organisation at the United Nations Headquarters in New York for a two-day seminar in September hosted by the UN Secretary General’s Global Education First Initiative (GEFI) under the theme: The role of global citizenship education in fostering youth peacebuilders. The seminar provided youth advocates, experts, educators, NGOs and international organisations with a platform for constructive dialogue on the different forms of violence and extremism affecting young people as well as their root causes. As strong believers in the enormous potential of young people to lead change, Generations For Peace drew on local examples to discuss conflict, the rise of extremism and the risk and preventive factors of youth violence in the MENA region in the context of on-going crises. Generations For Peace staff and volunteers gave their latest progress reports and recommendations for effective interventions to improve the support for young people vulnerable to radicalisation and violence. Volunteers and staff representing the organisation included: Lama Hattab, Programmes Director from Jordan; Safiya Ibn Garba, Senior Programme Officer from Nigeria; Marwan Almagedi, Programme Officer from Yemen; Hana Juma, Senior Programme Officer from Jordan; Sairah Yusuf, Research, Monitoring and Evaluation Officer from Pakistan; Mais Jaradat, Volunteer from Palestine; Elissa Shamma, Volunteer from Lebanon; and Alaa Ahmad, Volunteer from Sudan. All Generations For Peace programmes work with young volunteers at the grass-roots level to empower communities and address local issues of conflict and violence, in diverse forms in different contexts.